We officially have a “threenager” on our hands! 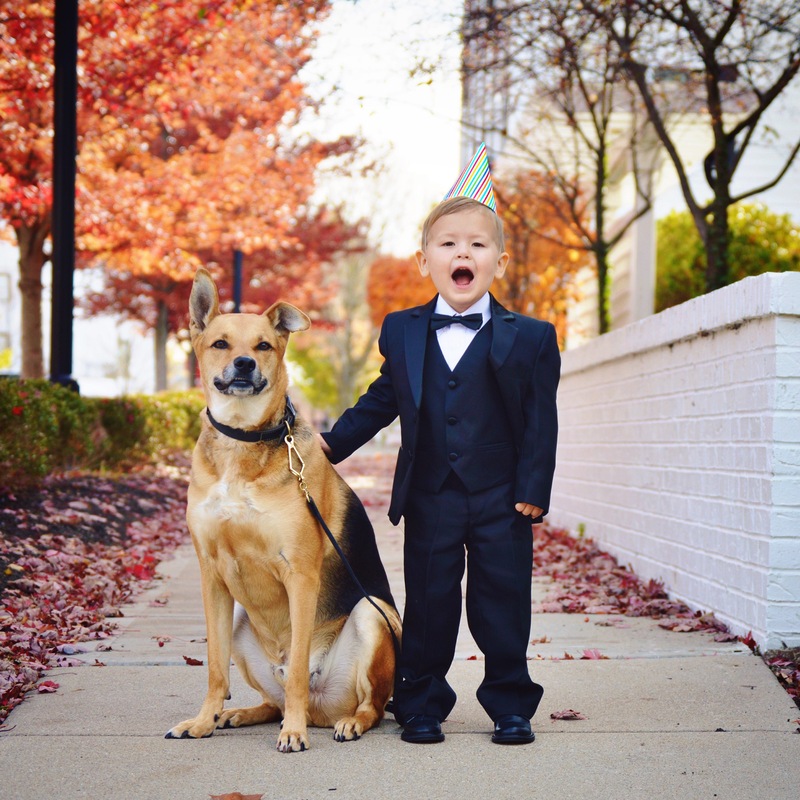 Carter is a very kind-hearted birthday boy with a soft spot for his pup and a few of his local heroes. Over the past year, we have watched as his personality has grown into one of a very sensitive boy…a little goes a long way with Carter. As parents, Jake and I have always dreamed about teaching our child all the great lessons in life. We decided to start young, and what better day to teach him that “it is better to give than receive” than by using his very own birthday. From this idea Carter’s Wish was born. Last year, we teamed up with our awesome friends at “I and Love and You” and encouraged our followers to go out and do something kind for their local shelter and take a quick photo. 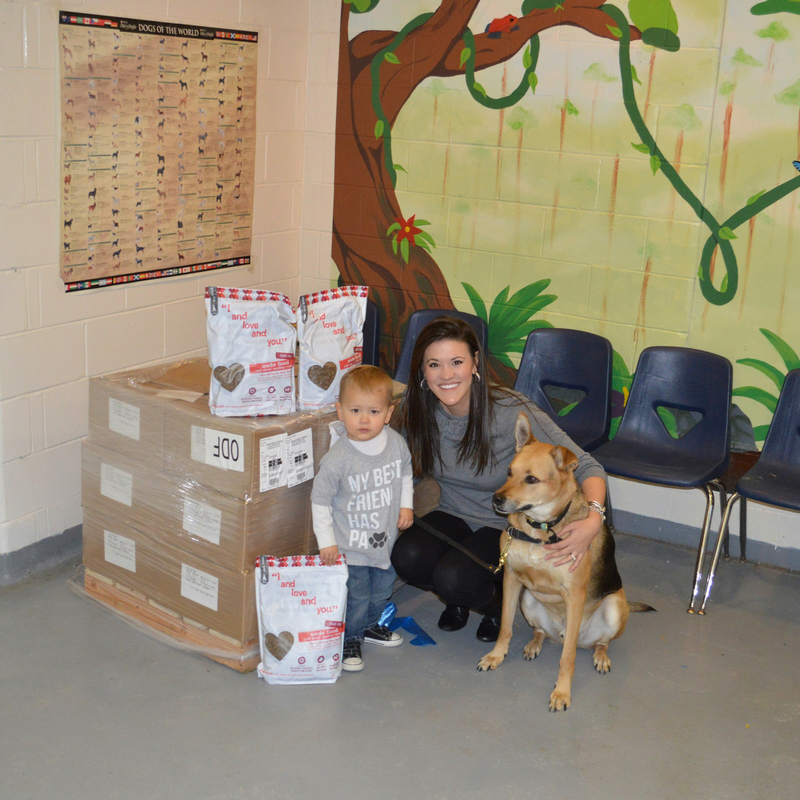 For every photo tagged with #carterswish, I and Love and You donated 1 meal to our local shelter. By the end of October, more than 500 meals had been donated! At the ripe age of two, I know that there was no way he could wrap his head around why some animals do not have loving homes, while his pup (a rescue) is showered with love daily. I am confident that delivering the meals to our local shelter topped any birthday gift he was given that year. This year, Carter made a request. 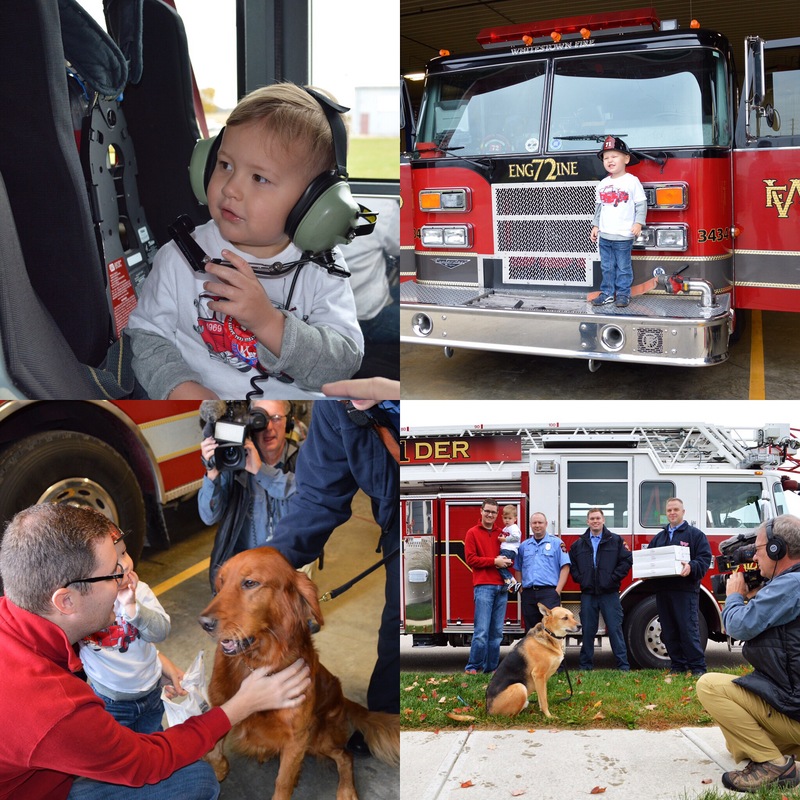 Like most little boys, he loves all things that “go.” So it was no surprise when he became infatuated with the police and fire departments (plus, they have some K-9 counterparts so they quickly won him over). We are absolutely blessed to live in an amazing community where the police and fire department are very involved in our town and truly care about the people who live in it. We frequently see them out shopping at the grocery or driving by our house and EVERY. single. time. they stop to talk to him which puts him completely over the moon. Seeing how Carter was naturally drawn to the brave men and women that serve the police and fire departments, it was clear that he wanted to do something to give back to them and show his appreciation. What better way to say thank you than with donuts! Donuts are another one of Carter’s favorite things. When we reached out to our local town leaders to find out when would be best to deliver the donuts. The response was more than we imagined – they offered to send a ladder truck to our house to surprise Carter by picking him up so he could personally deliver the donuts! AMAZING, right!?! I think he was a little overwhelmed at first, but by the last drop off at the fire station, he was ready to drive the truck. It truly made for an unforgettable experience for all of us. Toby was definitely on high alert – he picked up on my anxiety building up to the surprise, so he became worried when all the lights and sirens showed up. He was happy to stand guard at home until we got back. We have no doubt that experiences like this one will help to show Carter the importance of giving back and being kind to others. We are so very thankful for our town leaders, the police and fire departments (and everyone who helped make this possible)! And to my sweet Carter, I am incredibly proud of the little man you are becoming and your huge kind heart. May you always see the beauty in the small things in this world just as you did when you were two.